The Sony SRS-XB31 is a portable Bluetooth speaker that doesn’t really break through any boundaries for the category as a whole, but it doesn’t break the bank either. 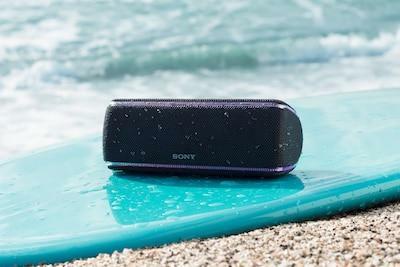 Where more-dedicated portable speaker brands are going smarter, Sony’s latest effort in the space opts to go bassier - to mostly-positive results. There’s something appealing to that back-to-basics approach here - and the lower price-tag doesn’t hurt either. After all, Alexa and Google Assistant integration when it comes to party speakers has usually been clunky at best. What’s more, it’s also a feature that’s usually comes with a premium. In context, the Sony SRS-XB31 is a portable Bluetooth speaker that doesn’t really break through any boundaries for the category as a whole, but it doesn’t break the bank either. If there’s any clear, visual delineation to be made between the approach that Sony have taken to the party speaker niche usually catered to by competitors JBL and Ultimate Ears, it’s that - at least at first glance - their SRS-XB31 look a little more conventional and professional. In our case, this mostly came down to the black aesthetics of the thing. There are other, more eye-catching colored variants available. However, our experience was with the all-black SRS-XB31. Compared to the rest, it’s a little underwhelming but mostly as inoffensive as it is innocuous. Thankfully, this visually-mundane look only really last until you turn the thing on. 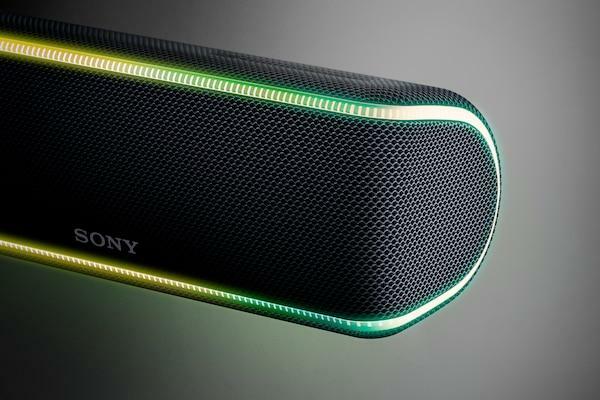 Once activated using the rubber control panel on the speaker’s side, the edges of the Sony SRS-XB31 lights up like your latest RGB Razer keyboard. By default, it’s set to Rave mode - which looks alright, but I was a little bit disappointed that you couldn’t synchronize my music and color patterns together. Thankfully, some additional customizability is available through the Sony Music Center app. Once you’ve installed this and connected your phone or tablet to the speaker, you’re able to toggle the illumination on the SRS-XB31 between about a dozen or so presets. You can also juggle the unit between standard, extra bass and live sound modes. Again, I’m still a little bitter there’s no sort of synthesizer mode or setting available here. The Sony Music Center app to create groups of synchronized speakers and create a ‘party chain’. 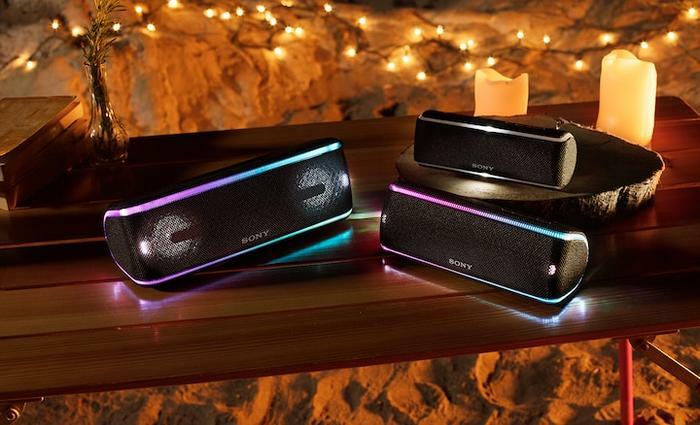 Assuming the other speakers are all Sony-branded and compatible, you’re able to chain together up to ten speaker. Unfortunately, unlike the competition, there’s no physical way to just do this using the buttons on the SRS XB31. You have to use the app - which is a slight shame. In addition, the lighting on the SRS-XB31 doesn’t really add all that much. 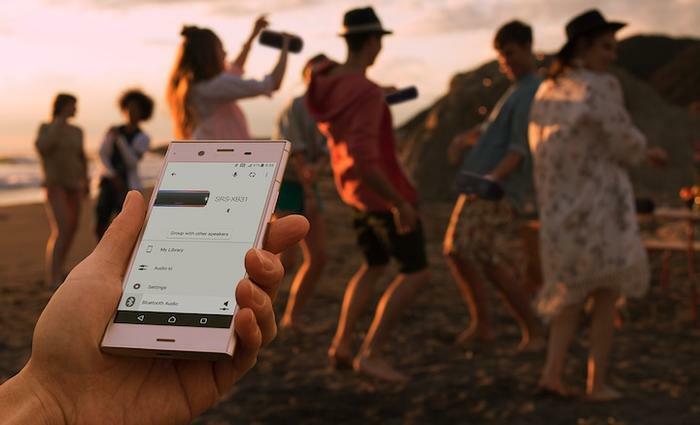 If you’re after the same house-party disco effect you can find in Sony’s larger audio products, its inclusion here is a strong point-of-difference against the competition, and, if you don’t care for, you can always turn it off. I could envision a situation where fishing it out of a body of water would be made easier by the flashing light show - but for the most part, your mileage is ultimately going to vary based on what you’re looking for in a speaker. When it comes to performance, the SRS-XB31 definitely lived up to its branding when it came to extra bass. Comparisons to the Ultimate Ears Megablast see it fall short, but in fairness, the Megablast is about $100 more expensive and almost twice as bulky. Generally speaking though, the SRS-XB3 sounded pretty good. As the name (and the branding around the product around it) suggests, the sound signature ends up leaning pretty heavy on the bass. If you’re a fan of music that benefits from that, you’ll probably like the way this speaker sounds. The fact that the SRS-XB31 has a solid 24 hours of playback to its name is just icing on the cake. Stacked up against the competition, we’d rate it above the Bose SoundLink Micro and JBL Link 10 but, again, found it fell short of the Ultimate Ears Megablast. Notably, I found that the Sony SRS-XB31 sounded a noticeably better when set up in a vertical orientation versus a horizontal one. Your mileage may vary here based on your own setting and acoustics - but it’s definitely a detail worth keeping in mind if you’re looking to buy. The SRS-XB31 isn’t necessarily pushing forward any sort of great innovation for the category - but it’s not convinced that’s what Sony are trying to do here. Sony aren’t one of the most iconic and recognisable brands in the consumer electronics world for no reason. Most of the time, they deliver the goods when it comes to value. This is one of those times If the target is offering a mostly-solid party speaker with an appealing price-point and battery life attached, the SRS-XB31 hits the mark. I wouldn’t necessarily push the competition out of the way to put the SRS-XB31 on a pedestal as ‘the portable speaker’ to buy. However, at the same time, if you’re just looking for a good value portable speaker that’s heavy on the bass, this is a pretty good value option to go with - even if it is a little limited when it comes to customisation.